The Binalong Landcare Group and NSW DPI alternative fertiliser trial was professionally set up, monitored and analysed with technical support from agronomist Fiona Leech. Despite this the trial needs careful interpretation when it comes to decisions surrounding use of inorganic and organic fertilisers. * The three farm trial sites soils were severely nutrient deficient (in the 0 – 10 cm layer), were very acidic and had high aluminum levels. The three replicate plots for each treatment were small, 2m x 10m. * The three sites were dominated by native pastures that are mainly spring – summer active. Despite this only one late spring pasture dry matter measurement was taken each year. The recovery of plants post the spring harvest is particularly important for late summer and autumn grazing, as well as for providing a protective cover to the soil to prevent thunderstorm erosion, hold onto soil moisture, and to provide a carbon source for the soil food web. * Harvesting was by mowing 10 – 12 weeks post a mid August mow. There is no analysis (as yet) of differences in pasture composition on the three sites. * Average to above average rainfall was received across all sites over the three years. * Treatment levels for each product (originally selected for the trial by landcare group members) are based on each manufacturer’s interpretation of how much should be applied to produce an impact on pasture production. * Some products used have single and or multiple soil health functions such as supplying nutrients, supplying a soil ameliorant eg lime, and supplying soil biology enhancement, eg compost tea. This means most of the treatments are non-comparable. Including a compost tea in such a trial is highly questionable as it contains no nutrients, it is surprising the manufacturer agreed to it. Some products associated with soil biological activity may not be able to produce a measurable response in the time (three years) the trial was monitored. * The trial protocol is based on the assumption that “Sites with low fertility were deliberately selected to allow each product the opportunity to display its full potential”. Low fertility sites would also have major soil structural and biological differences and deficiencies that will complicate interpretations of treatment effects. It could be argued that the trial should have been conducted on higher soil health sites where the limitations of soil biology, soil chemistry and soil nutrients were removed and the products became the bonus for plants to take advantage of if there is potential to do so. * There is no previous (10 years) paddock history, pasture composition and livestock grazing management carrying capacity data for the sites. All these factors combined put this trial in the “silver bullet” solution category, that is, what simple fertiliser treatment can a farmer apply that gives a pasture boost outcome. The bigger questions about improving a native pasture ecosystem so that its long-term health, productivity and profitability is gradually improving, remain unanswered. * Products that delivered substantial amounts of P and S, i.e. 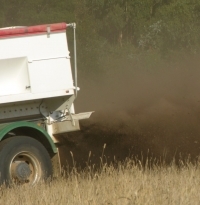 single superphosphate, Agri-ash, SEP Pig Manure, YLAD Compost Mineral Blend, BioAg Blend and Dical 64 were the treatments that produced the most kilograms dry matter per hectare (kg DM/ha) in some or most springs across the three sites. Figure 1 shows the average percentage increases in dry matter per hectare across the three sites and the phosphorous and sulphur additions from the treatments. It suggests that nutrients are the number one limiting factor to pasture growth at the three sites. Figure 1. Average increase in herbage yield as a percentage of yield in the unfertilised controls (spring periods 2009, 2010, 2011) by each of the fertiliser product at each of the trial sites, “Glenroy” (black line). “Kia-Ora” (pink line) and “Te Kooti” (green line). Total P and S amounts applied over the three years (kg/ha) is shown above each fertiliser products data set. Source: NSW DPI. * Soil nutrient status measured annually in late spring did not reveal as good a relationship to pasture production as might have been expected. Leech says this was most likely due to the fact that the products were spread on plots in autumn and soil testing did not occur until late spring in each year, after the peak pasture growth period. Figure 2 demonstrates that plant available P levels were boosted by the single application of Agri-ash and SEP Pig Manure, and the increase was maintained for the three years, this effect was evident at all three sites. The single super treatment (10 kg P/ha/yr), applied each year lifted available P slightly above the control at each site. * The products containing lime, i.e. Agri-ash (1.6 t/ha lime over three years), YLAD Compost Mineral Blend (1.5t/ha lime over three years) and BioAg Blend (0.4t/ha lime over three years) have all raised soil pH and lowered aluminum (Al) levels as expected. Despite these effects Leech says there was no obvious increase in spring herbage mass solely due to lime applied. Figure 2. “Kia-Ora”, Bookham – Soil Available Phosphorus (Colwell) measured in spring 2008 (red bar), 2009 (black bar), 2010 (yellow) and 2011 (green). Note that 2008 represents levels before any fertiliser products were applied. Data presented for 2009, 2010 & 2011 have been statistically analysed and an asterisk (*) indicates a significant difference (P <0.05). Source: NSW DPI. * Soil carbon percentage has not changed under any treatment at any site – not unexpected in a three year time frame. * Soil biology was measured indirectly rather than via a soil food web analysis of species present, their numbers and their ratios. Leech says the two measurements used FDA and Biomass carbon did not show any differences between products or the control. * Of the four products that consistently grew more pasture than the control across all sites over three years, single superphosphate, Agri-ash and SEP Pig Manure resulted in similar costs for additional pasture grown in spring in 2009, 2010 and 2011. 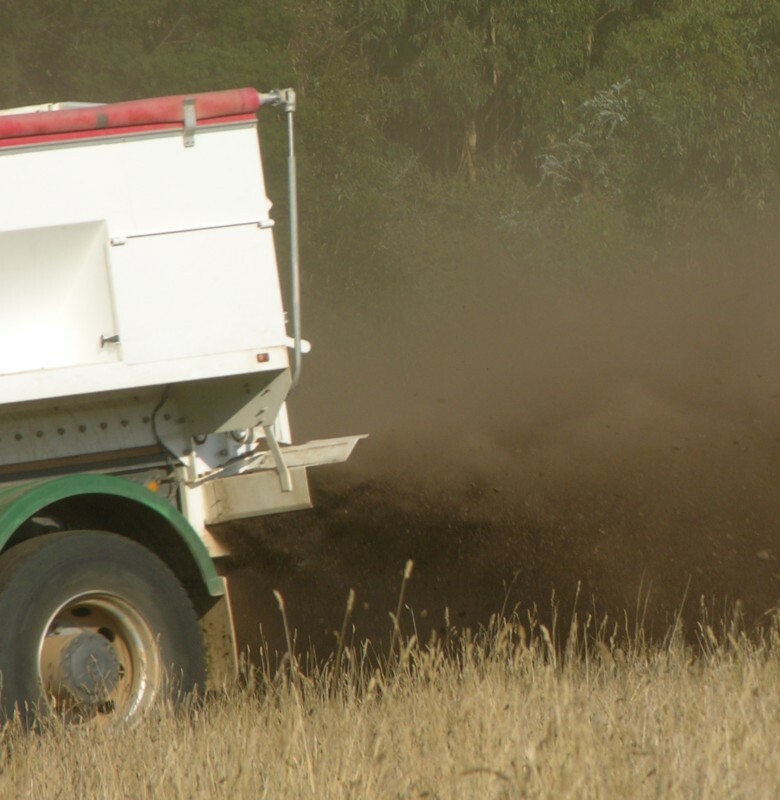 The cost for YLAD Compost Mineral Blend, however, was in the order of two to seven times more for additional pasture grown, figure 3. * Analysis of 2011 pasture quality in terms of crude protein and metabolisable energy in spring showed there was a statistical difference compared to the control for single superphosphate, Agri-ash and BioAg Blend. Given such analysis is conducted on cut pasture and homogenised samples and not on what livestock actually eat, the differences are unlikely to impact on productivity. a) Some fertilisers (including single superphosphate) consistently produce significantly more spring herbage mass than the control. These are as cost effective as single superphosphate. b) Some fertilisers are less consistent at being as cost effective as single superphosphate. c) Some fertilisers consistently produce significantly more spring herbage mass to the control, but are less cost effective than single superphosphate. d) Some fertilisers did not grow additional pasture compared to the control and are not cost effective based on data collected to date. In one report on the trial Leech admits that agricultural science has limited experience in using alternative fertilisers and understanding their associated pasture responses. No doubt the trial confirms this but it is disappointing that a parallel trial on a high fertility, high carbon content and high biological activity site was not conducted. Leech says the Binalong/Bookham trial site will be monitored for a further two years for pasture production and soil health. 1Treatment contains 45.5% compost; 45.5% lime; 9% Soft Rock Phosphate. 2Treatment contains 42.8% compost; 38.9% lime; 6.2% Soft rock phosphate; 11.7% gypsum; 0.39% Zinc Hepta. 3Treatment contains 31.6% compost; 47.5% lime; 5.1% Soft Rock Phosphate; 15.8% gypsum. 4Treatment contains 40.7% compost; 40.7% lime; 6.5% Soft Rock Phosphate; 12.1% gypsum. Single superphosphate Granulated fertiliser containing 8.8% P (8.6% of this is soluble P), 11% S and 20% calcium. (Single superphosphate containing Molybdenum (0.05%) was used in year-one). Agri-ash A burnt sewage ash product produced at the ACTEW Molonglo Sewage works, ACT. The product contains 6.6% P (1.12% of this is soluble P), 0.85% S and a range of other macro and micro nutrients. It also has an average neutralising value of 65%. It does contain some heavy metals but all below threshold limits. FertSpread, Gunning has the sole rights to the sale of this product. Trio-min/Eco-min Balance Both fertilisers are a crushed rock (semi-granulated) product. Trio-min is made from igneous and metamorphic rocks with added phosphate. It contains 4.5% P plus a range of other macro and micro nutrients. Eco-min Balance is also made from igneous and metamorphic rocks containing 2.4% P plus a range of other nutrients. 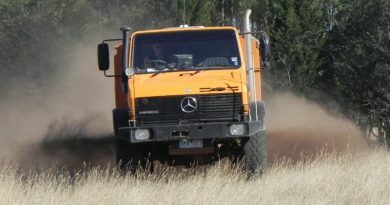 The products were supplied by Munash Fertilsers, Ballarat. SEP Pig Manure A waste product from pigs. The liquid and solid manure is put into sedimentation evaporation ponds (SEP) to dry and then manure is scooped into piles for further air drying before being spread on paddocks. The product contains a range of macro and micro nutrients. Nutrient levels vary from batch to batch. The product was sourced from “Windridge Farms”, Young. Groundswell Compost This is a food and garden waste compost, which is part of a project called ‘Groundswell’ funded by the Department of Environment Climate Change and Water (DECCW) through an Environment Trust Grant. The product contains small amount of macro and micro nutrients. The nutrient content will vary from batch to batch. YLAD Compost Mineral Blend A dry product containing humus compost, lime, soft rock phosphate and gypsum. Refer to Table 1 for the varying percentages applied over the three years at each site. The compost used is produced from local organic waste. This product was sourced from YLAD Living Soils, Young. YLAD BioTX 500 Compost Tea Extract A liquid product containing 95% humus compost tea extract, 2% molasses and 3% liquid fish. This product was sourced from YLAD Living Soils, Young. BioAg Blend A blend of dry and liquid fertilisers was applied. The dry products are a mix of BioAgPhos (reactive phosphate rock treated with a proprietary microbial culture), lime and gypsum. The liquid fertilisers applied in year one were a combination of ‘Soil and Seed’ (product containing nutrients plus microbes marketed by BioAg Pty Ltd), milk thistle and vitamin B5. These products were supplied by BioAg Pty Ltd, Narranderra. Ecology Fluid Fertiliser/ Dical 64 Ecology Fluid Fertiliser is a liquid foliar fertiliser containing a mix of macro and micro nutrients and microbes. Dical 64 is a granular fertiliser containing 18% P (approximately 2% of this is soluble P) and 24% calcium. Both products were supplied by Ecology Pty Ltd.